We have some important information to pass along to you. The Sheriff's Office would like to thank The Fetch Foundation for their donation of a FIDO BAG. They have given the K-9 unit a O2 mask to use if something would happen to our K-9 and she would require medical treatment due to smoke inhalation. 2. Copy and paste the above website address into the address bar at the top of your browser and hit enter. 3. Visit the Links page of this website and click on "Public Service Announcements". 4. Click on the image below. Below is an image of the webpage that you will be directed to. 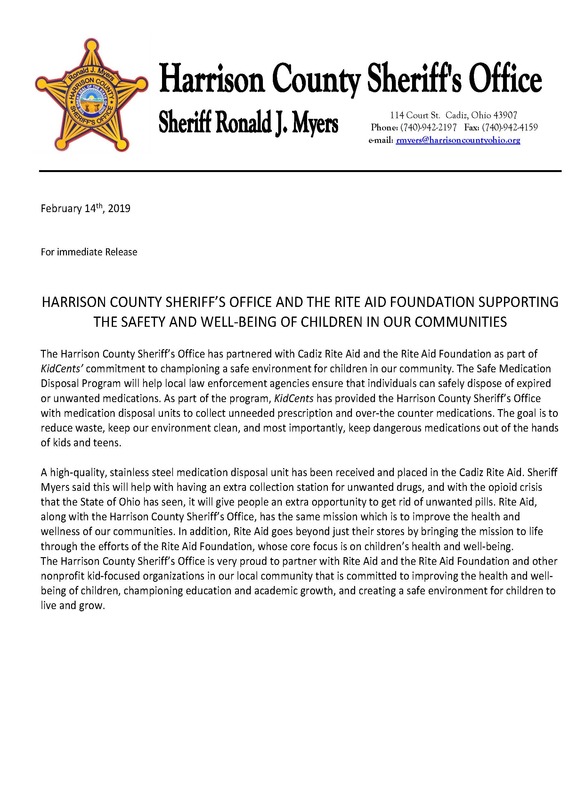 The Sheriff, Ronald J. Myers would urge you tell your friends and family about the website and sign up today. Effective January 1, 2013 all scrap metal dealers in the State of Ohio must register the business in accordance with O.R.C. § 4737.04 and § 4737.045. Failure to register is a fifth degree felony. 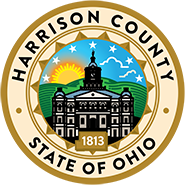 The Harrison County Sheriff’s Office considers your failure to register to be in violation of O.R.C. § 4737.04 and § 4737.045.